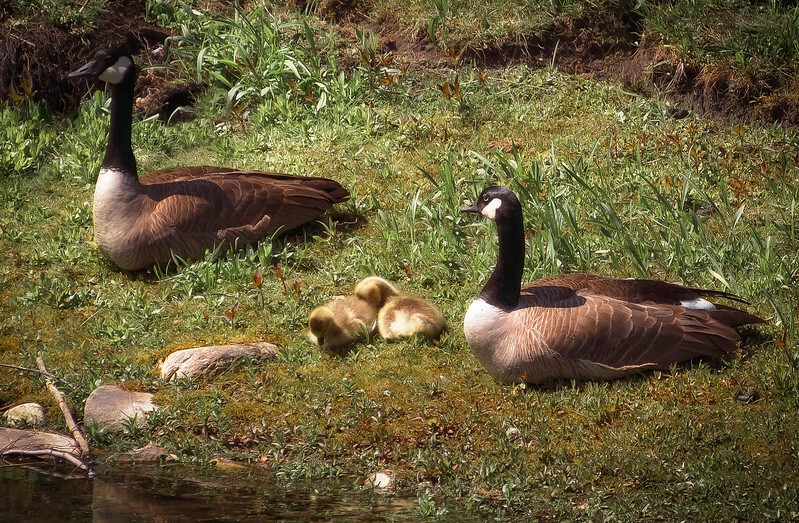 A family of geese relaxing on the shore. This was following a rather noisy altercation with crows, who eventually moved on. They seem to have taken the encounter in stride, though, and appear calm and content in the spring sunshine.